Dubbed the “Galaxy S10+”, it is one of the three premium handset models Samsung is expected to launch next year, and according to a new report by Pocket-lint, it will feature a triple-camera system on the rear. 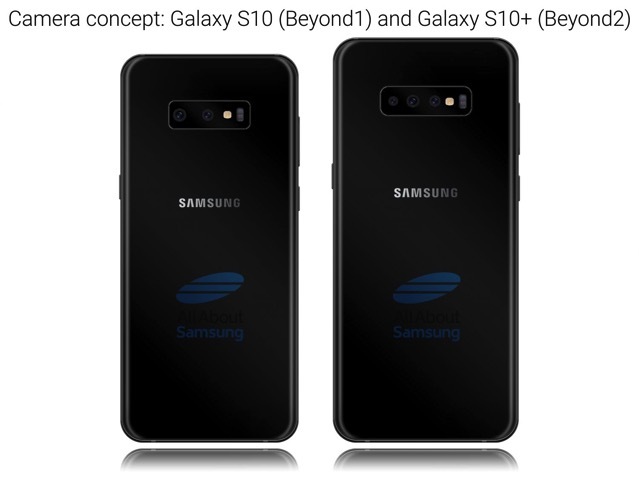 The folks over at AllAboutSamsung have already created a mock-up of the Galaxy S10+ rear camera, in comparison with the Galaxy S10. The report adds that the Galaxy S10+ rear camera may consist of three units i.e. a main 12-megapixel f1.5/f2.4 camera in the middle, a 16-megapixel f1.9 super wide-angle cam on the right, and a 13-megapixel f2.4 zoom camera on the left. Each camera would be dedicated to its own tasks. An LED flash would also be present. Meanwhile, the other two Galaxy S10 models will continue to feature the existing dual-camera setup, although they would reportedly ditch the zoom option in favour of the wide-angle unit and main snapper. Samsung is expected to unveil the Samsung Galaxy Note 9 at its upcoming “Unpacked” media event next month.